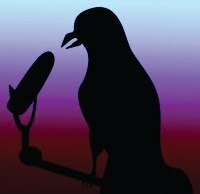 For a couple of years I ran a character interview blog called Nighthawk Talks. My alter ego, Nighthawk, chatted with characters from a wide variety of books, starting with my own, friends' books and then friends of friends and so on. I met some lovely people as a result. 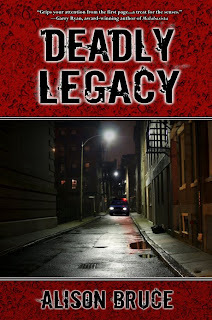 Kate Garrett is from my mystery, Deadly Legacy. Common nighthawk, aka Chordeiles minor. Owl-like insectivore. You look more like a crow. No, a raven. I remember my father telling me that ravens have longer tails and hookier beaks. Nighthawk is my name, not my breed... Never mind that! Tonight we welcome Detective Kate Garrett. Is Nighthawk your real name? No my real name is “Quoth” - YES, it’s my real name! Calm down, ma’am, it was just a routine question. How long have you been a virtual radio host? I’m supposed to interviewing you, Detective Garrett. You haven’t asked me anything yet. Tell us about your father. Joe Garrett, of course. How many father’s do you have? Well there’s Joe of course - everyone knows Joe. Then there’s my step-dad David. He’s a physician and counsellor at the university. I guess a lot of people know him too, but not as well as he knows most people. The Chief, Igor Thorsen, is my godfather. I used to call him Papa Igor when I was younger. Not so much now he’s my boss. You say “everyone knows Joe”. He must cast an awfully large shadow on your life. You know that’s not what I meant. Yeah, but I get tired of the question. It’s almost as bad as “How are you feeling?” How am I supposed to be feeling when my Dad dies? As for living in his shadow... think of it more like shade. Sometimes I get a little lost in it, but mostly it provides protection. Okay. What are the benefits of being Joe Garrett’s daughter? You didn’t exactly have a normal childhood with your father being injured and turning to alcohol, and your mother having an affair with another man. If you think that’s all that abnormal, you’ve never looked at family services stats. Anyway, my childhood was happy. It was my teen years that were ... challenging. I got through them. Even if I was willing to talk about what I went through – which I’m not – you’re prying into events that involve people who are not here to speak up. He thinks you’re crazy to leave the police force. Police services. Even in your time, it’s police services. What do you think about Mr Carmedy? I have generally found Carmedy to be polite and professional with people other than myself and, it seems, with you. He walked out on the interview when I suggested he was attracted to you. (Sputtered laughter.) According to this wiki, ravens are supposed to be highly intelligent problem solvers. I’m not so sure. Before you ask me something that will make me walk out, why don’t we end this interview and have an off the record chat over coffee. That’s an offer I can’t refuse. If you want to learn more about Kate Garrett, dear listener, you’ll have to pick up Deadly Legacy. 2018: When Joe dies unexpectedly, he leaves his daughter Kate half interest in Garrett Investigations, his last case that ties to three murders, and partner she can't stand. Jake Carmedy has lost a partner, mentor and friend, but grief will come later. First, he has a case to solve, one that has detoured from a simple insurance case to a murder investigation. If that isn't enough, Joe's daughter seems to want to take her father's place as his boss. No matter how hard they try, Carmedy and Garrett can't avoid each other and they might be next on a killer's list. Also part of the Deadly Dozen book set.